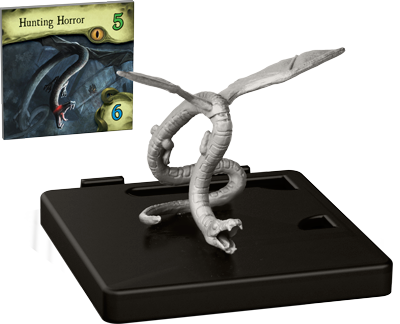 Note: This article contains spoilers from the first few minutes of Cycle of Eternity, the first Mansions of Madness Second Edition scenario. We passed several cars and carriages upon our arrival. Though the butler didn’t mention an event, Mr. Vanderbilt is no stranger to hosting guests, so I was unsurprised to see this. What struck me as odd was the eerie quiet blanketing the grounds. As the car eased to a halt, we cautiously exited the vehicle—Rita, Agatha, and myself. Despite the uncanny stillness of the place, nothing seemed out of the ordinary. Not from the outside at least. We approached the door, Agatha leading the way. She knocked gingerly, as Rita nervously shifted her weight. We waited a number of seconds, though the door did not move. Agatha moved to rap on the door again, but Rita leaned across her to try the handle. The door opened. Rita pushed her way into the mansion, Agatha reluctantly following behind. I looked around, noticing a 2x4 leaning against the wall. Thinking it could come in handy should we encounter something unfortunate, I picked up the piece of lumber, heaved a sigh, and entered after them. Place your investigator figures as indicated. The foyer, too, was uncomfortably quiet. The walls were lined with doors, and a hallway extended before us and off to the left. We could not see where it led. Place a sight token as indicated. Upon examining the walls of the immediate entryway, a large painting of the night sky immediately caught my attention. Ignoring the papers scattered to my left, I approached the painting and leaned on the 2x4, curious to get a closer look at the showy figures littering the landscape. I aspired to be an actor in my youth, but since leaving the theater, I have taken great comfort in other arts. This painting, though, disquieted me. I thought back to my studies as I gazed upon the stars, realizing suddenly that the alignment of the planets was not unlike those in the sky tonight. Looking down in search of a title, I see only a plaque… “In memory of Lilith Vanderbilt.” Realization washes over me… Gain 2 Clues. While I was lost in the painting, Rita had begun to move down the hallway, curious to see what lay further down the hall. She leaned forward as she reached the end, peering around the corner. She looked back to us and shook her head. Nothing of terrible interest. When she turned to come back down the hallway, a particular door drew her attention, and without a second thought, she opened it and disappeared into the room. You may move 1 space into the explored area. I shook my head and attempted to go after her, but at that moment we heard a scuffle from the first door in the hallway—shouting and the banging of pots and pans. Agatha, fearless and always in search of more information, bolted through the door before I could stop her. I heard a gasp…a slam…and a screech. Your hand lands on something long and sharp, which you jam into the creature. Fear overwhelmed me as shouts echoed from both the room Agatha had disappeared into and the door behind me through which Rita had gone. I turned to look through the door across from the painting only to see Rita frantically looking around the room, terror spread across her face. Whatever was haunting her, I could not see, but she seemed to be coming back to herself, breathing hard and clearly unsure of what exactly she had just encountered. Rita Young suffers 1 facedown Horror. Without stopping to think, I whipped around and dashed toward the kitchen. I could see Agatha struggling with a slimy monster. The serpentine creature’s body reached nearly to the ceiling, with bat-like wings so enormous they blocked any light coming from the sconces behind the them. Through the darkness, though, I could see that Agatha had already injured it. Still, it lunged at her, claws first, with its long teeth bared. Agatha made an attempt to dodge the attack, but her body twisted in an unnatural way, causing her nearly to fall to the floor, just before I witnessed the horror go through an unholy transformation. The thing writhes as if in agony, its jaws opening further and further until its mouth cracks and the creature tears in half, revealing a slimy, squirming, new monster within. I ran into the dining room where Agatha was struggling to stay upright, determination in her eyes as she stared up at the monster. She raised her hand to strike at the beast again, but her strength had been tested, and her attack failed to do any damage. Agatha ducked out of the way, realizing she could not attack again until she was healed, and began to cast a Flesh Ward spell. The limb seems to absorb the impact of your attack. Raising the 2x4 above my head, I charged, slamming it as hard as I could into what I could only guess would be the beast’s weakest spot. The blow was powerful, though not powerful enough to take the horror down. As I considered whether to strike again or make a dash for the knife laying on the table behind it, Rita rushed into the room, running straight at the beast. She knocked it off balance, and with a final blow, brought the Hunting Horror to its end. Hearing the monster’s final fate, the old man in the kitchen cautiously steps out. Agatha, Rita, and I had no question in our minds at this point about what we needed to do. There were a lot more secrets here than we realized, and we wouldn't leave until we figured out the truth of this cursed place. 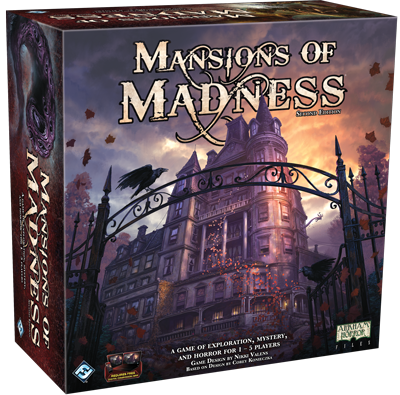 This is just a taste of the stories, mysteries, and monsters you may encounter in your Mansions of Madness Second Edition investigations. 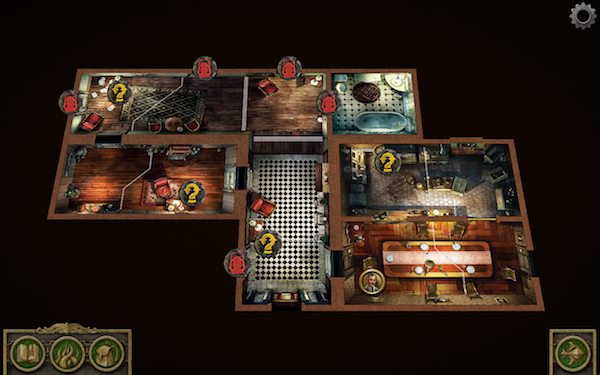 Make your mark on the cursed town of Arkham as you endeavor to save it from the sinister and supernatural. Pick up your copy today at Gen Con, online, or at your local game store, and don’t forget to download the app here for iOS, here for Android, or here for Mac or PC.